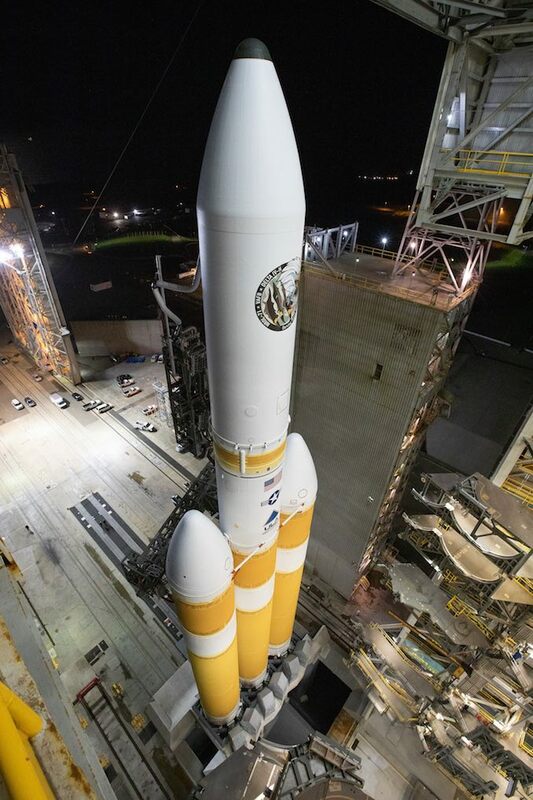 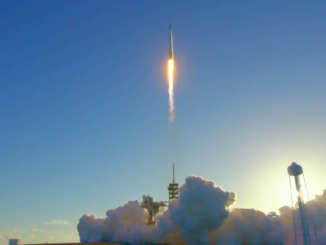 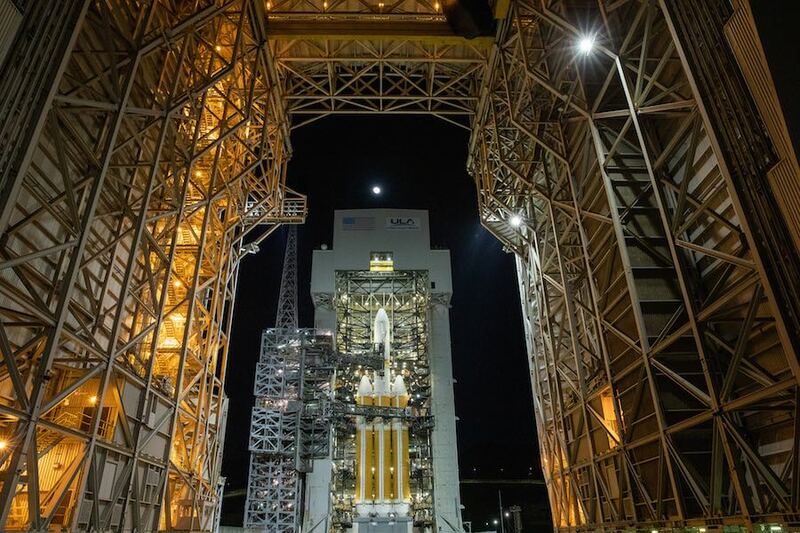 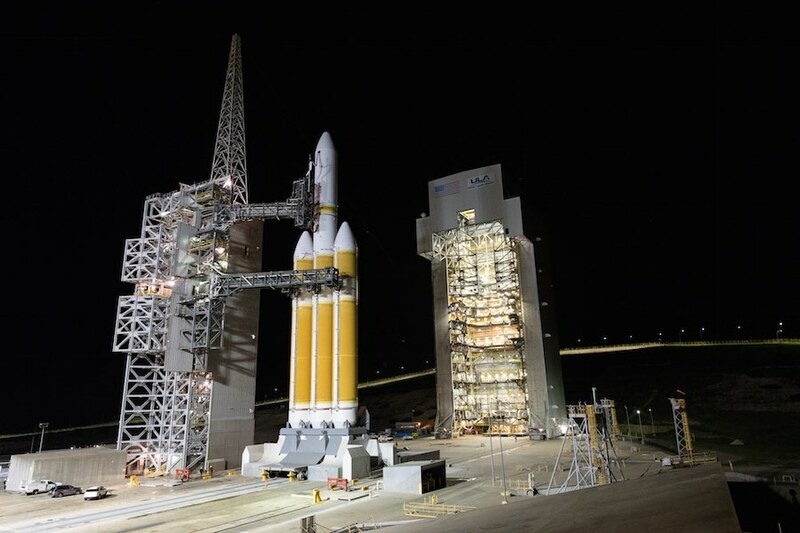 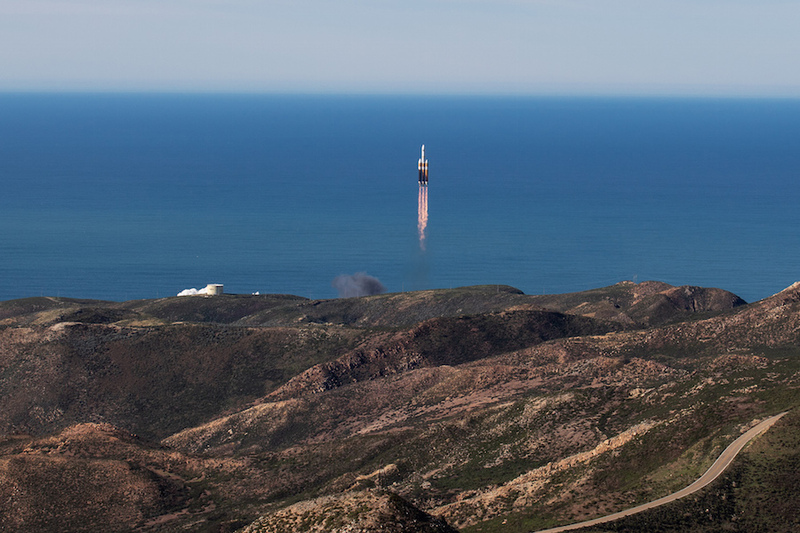 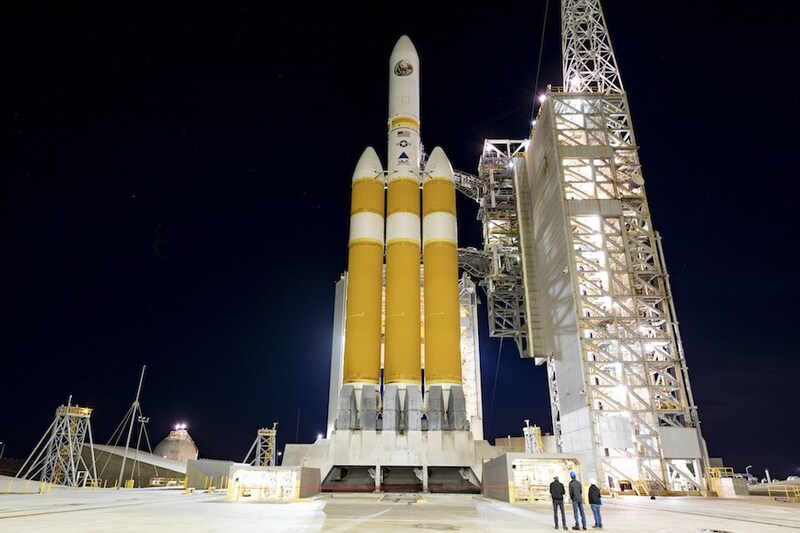 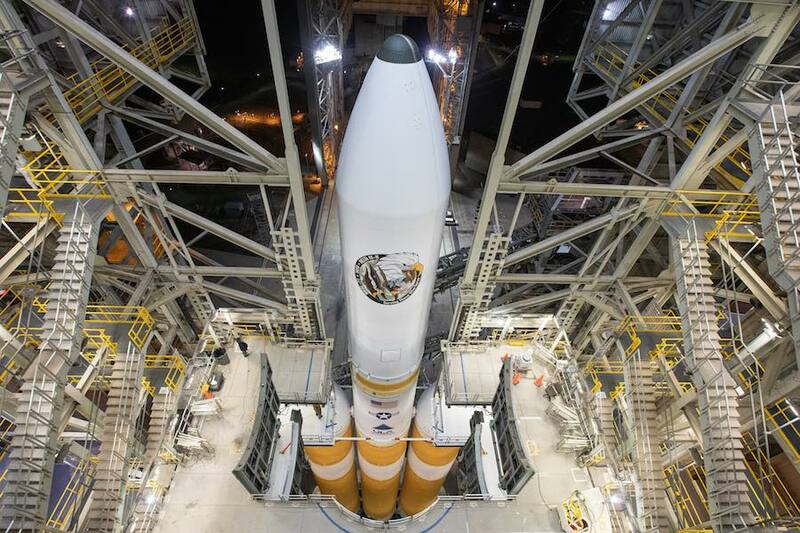 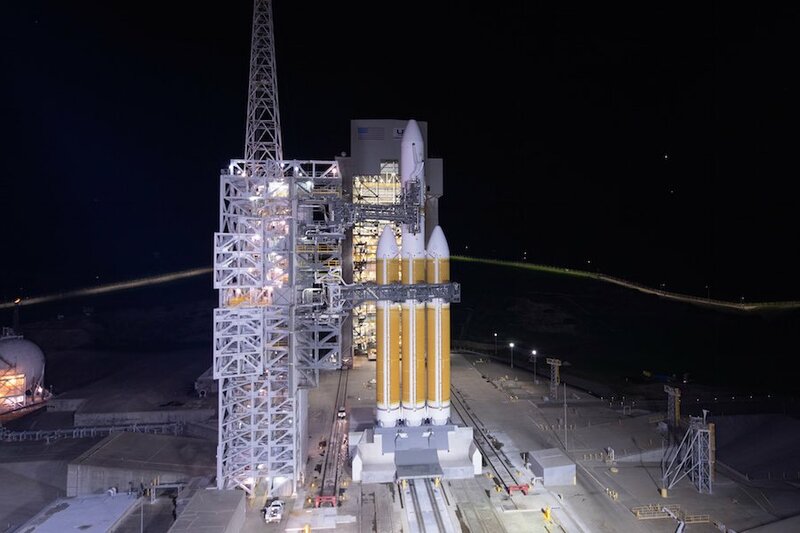 The orange and white launcher, standing 233 feet (71 meters) tall, lifted off from Space Launch Complex-6 at Vandenberg at 11:10 a.m. PST (2:10 p.m. EST; 1910 GMT) on Jan. 19, after more than a month of delays caused by technical concerns with the Delta 4-Heavy rocket, and bouts of bad weather. 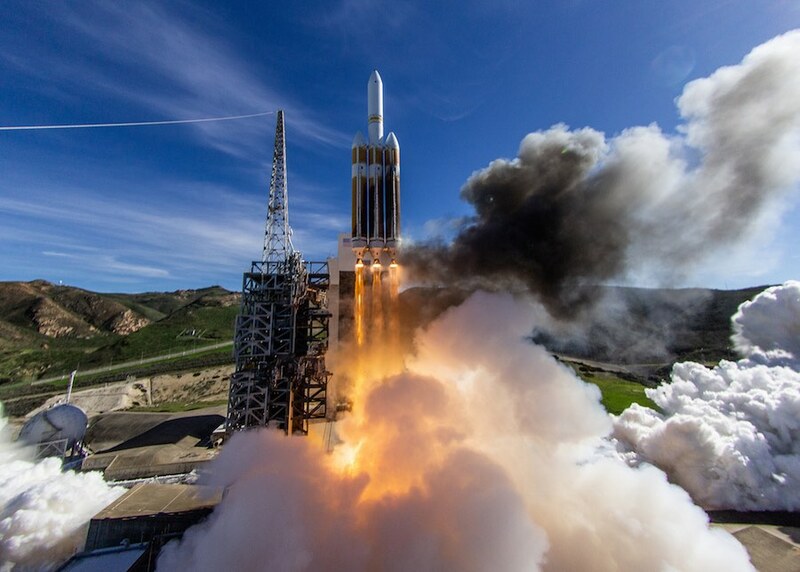 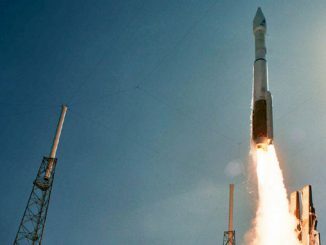 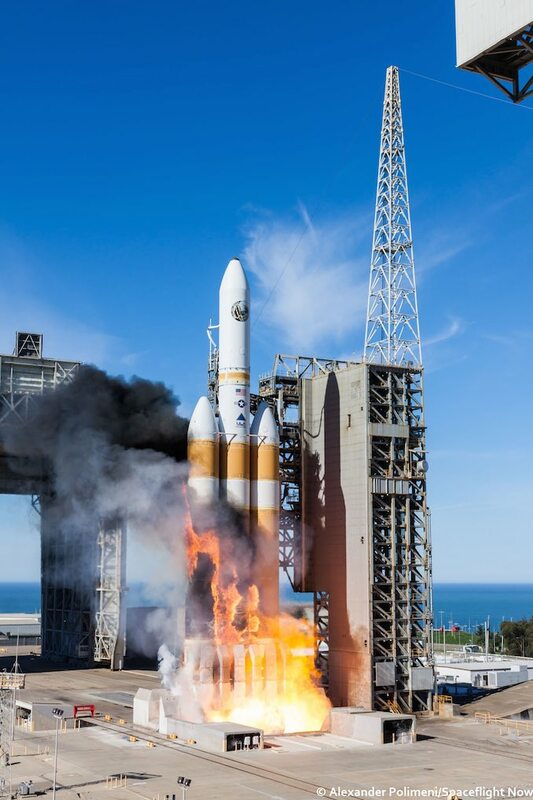 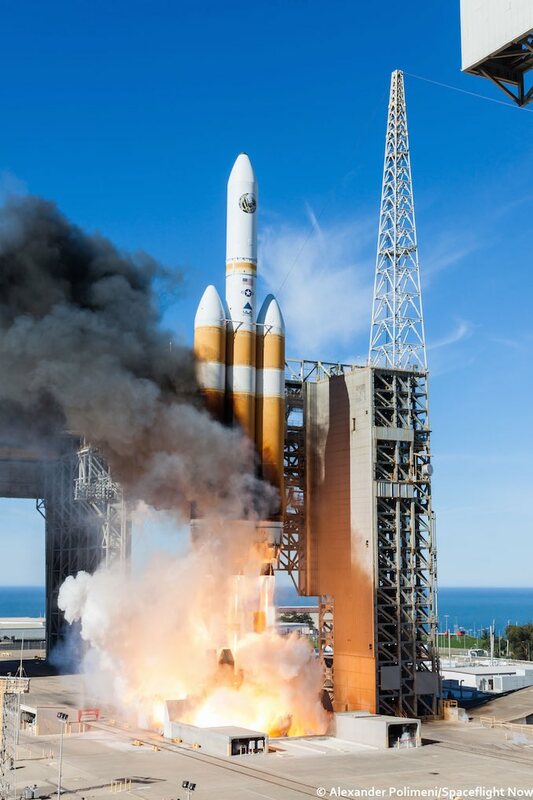 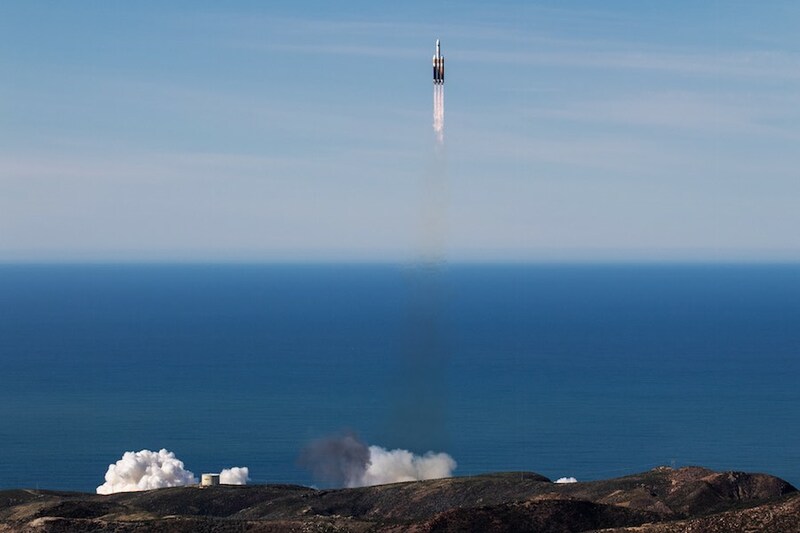 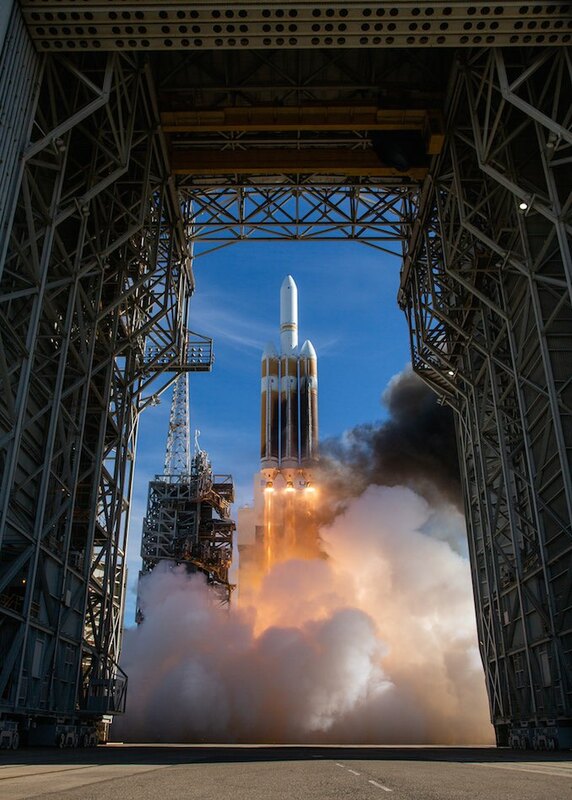 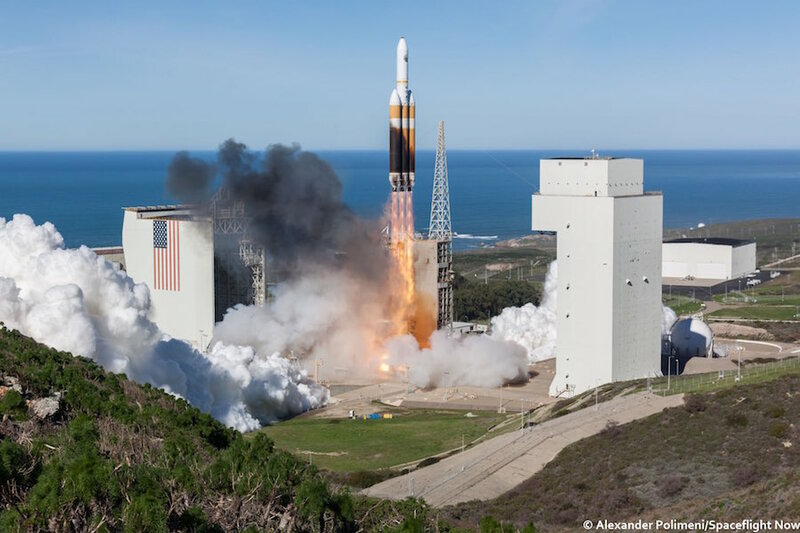 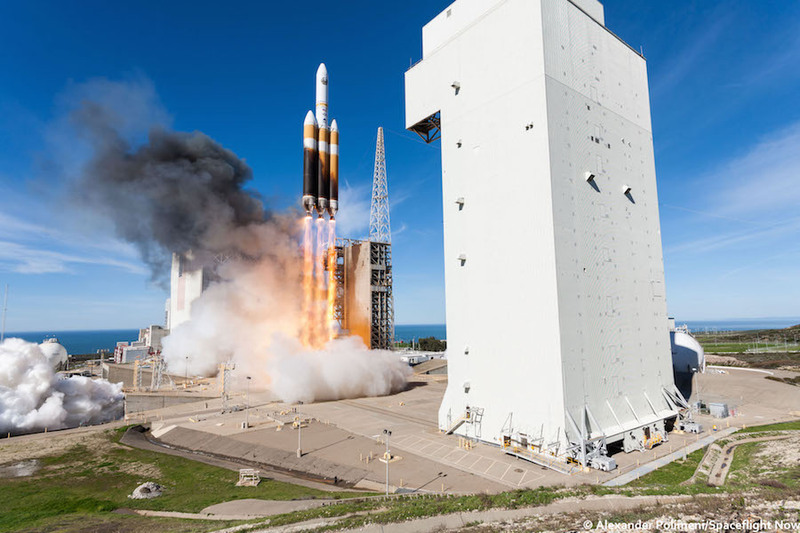 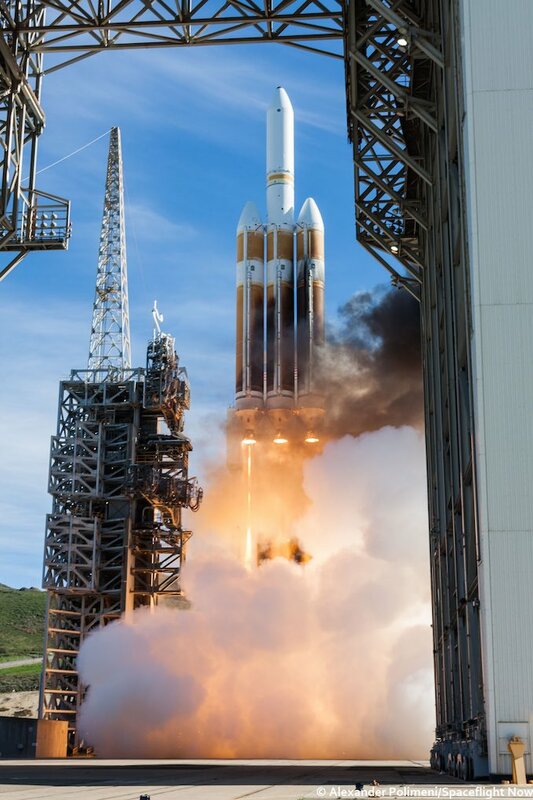 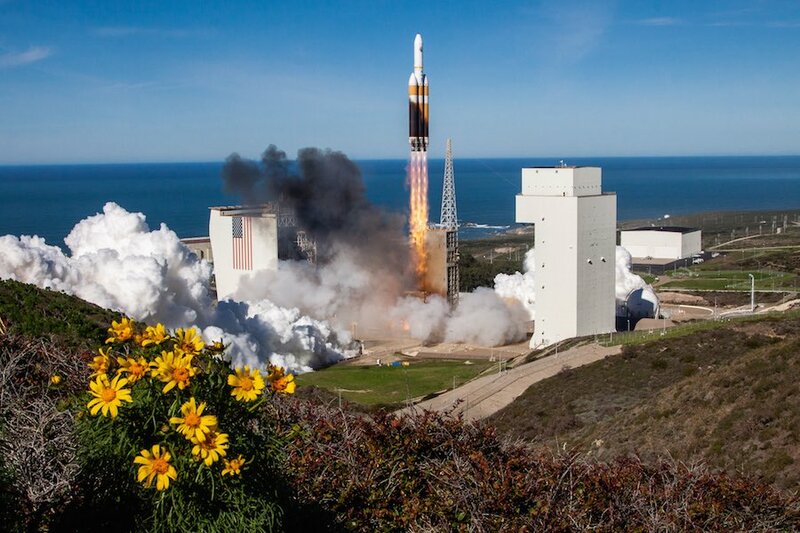 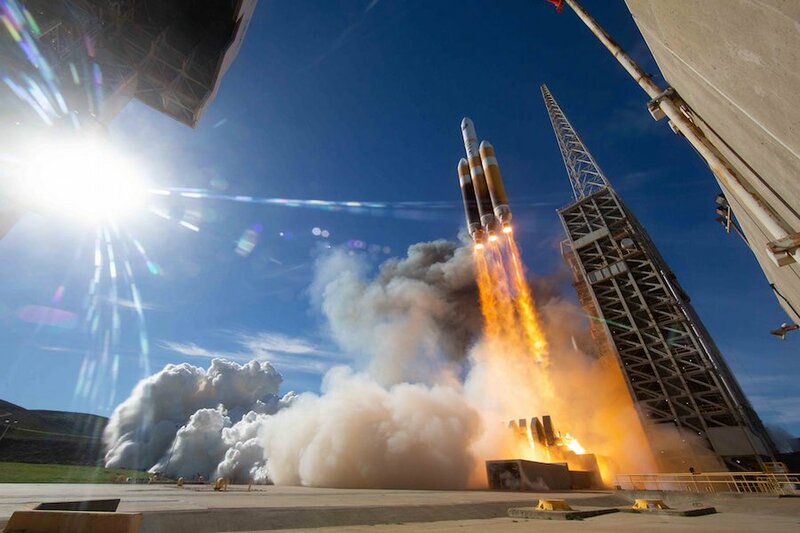 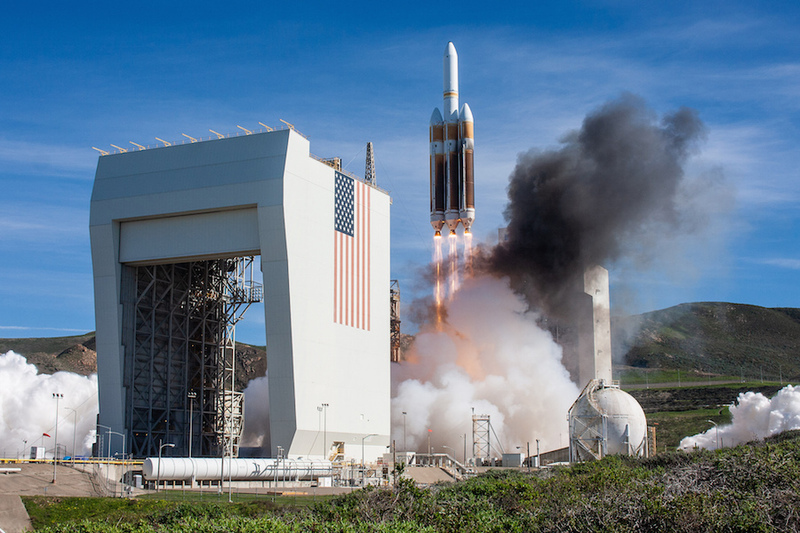 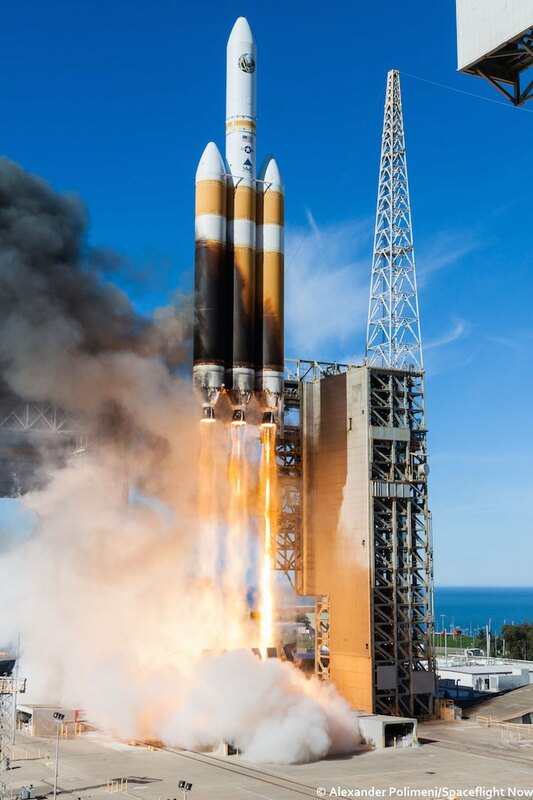 The launch marked the 11th flight of a Delta 4-Heavy rocket — the most powerful in ULA’s inventory — the third time the heavy-duty launcher variant has flown from Vandenberg, a military base around 140 miles (225 kilometers) northwest of Los Angeles. 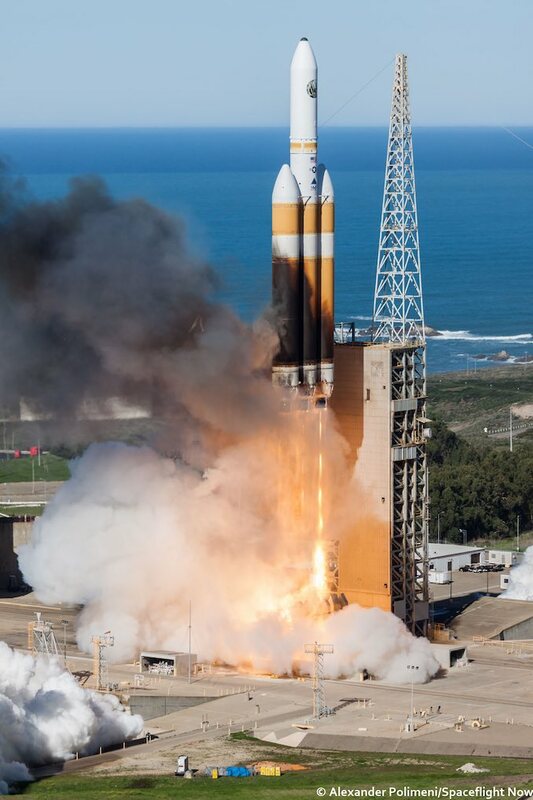 The Delta 4-Heavy delivered to orbit a top secret spy satellite for the National Reconnaissance Office after heading south-southeast from Vandenberg over the Pacific Ocean. 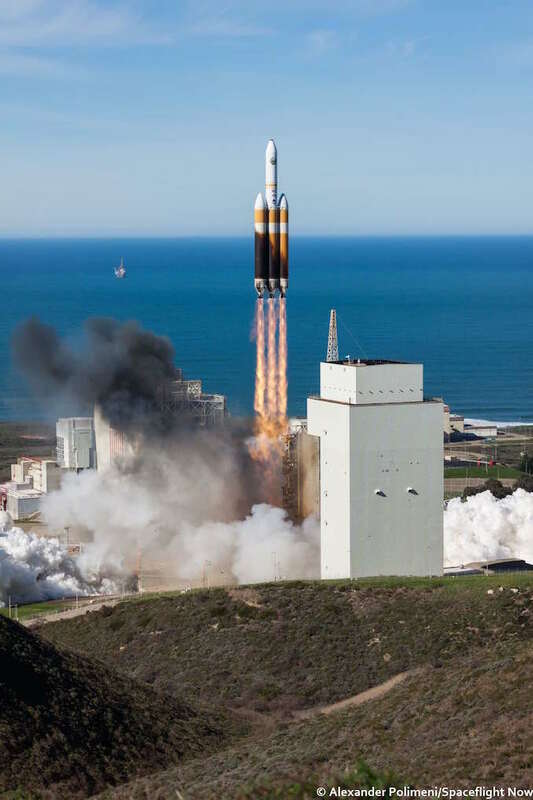 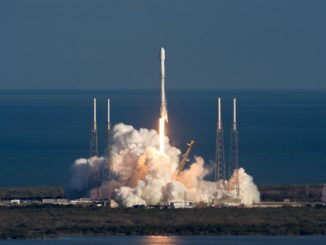 Read our full story on the launch for details on the mission. 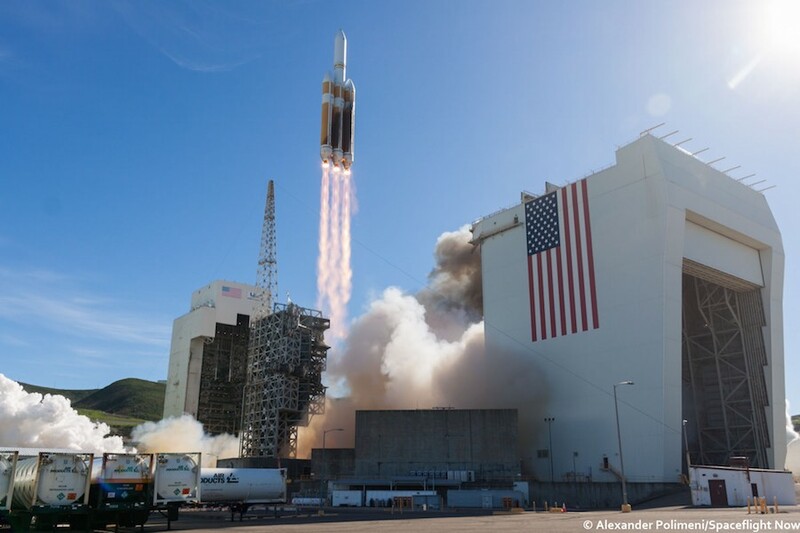 The photos posted below show the Delta 4-Heavy on the launch pad during rollback of the mobile gantry at SLC-6, followed by ignition of the three Aerojet Rocketdyne RS-68A main engines and the Delta 4-Heavy’s climb away from then Pacific coastline. 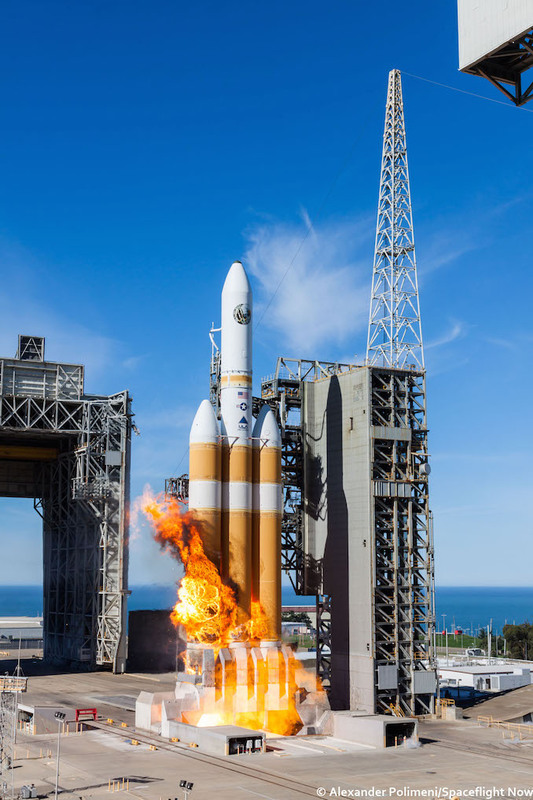 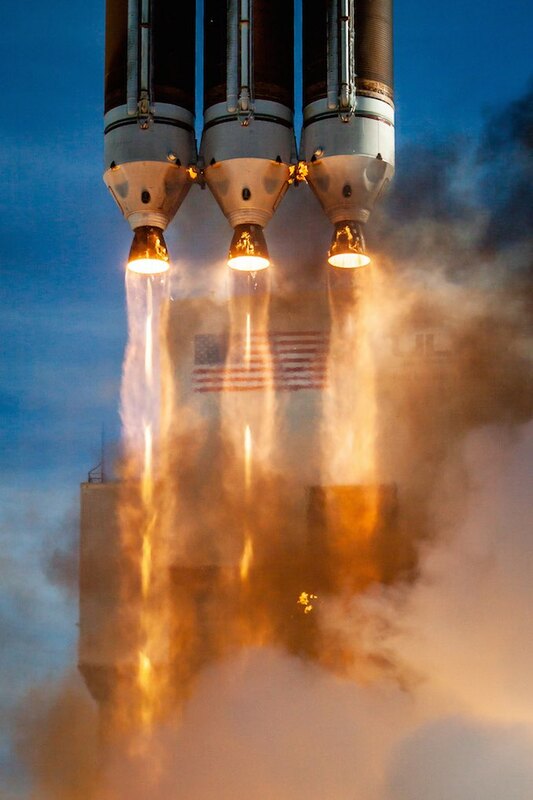 The flames visible in the photos during engine startup are normal for the Delta 4-Heavy, which is covered in orange insulation to protect the vehicle. 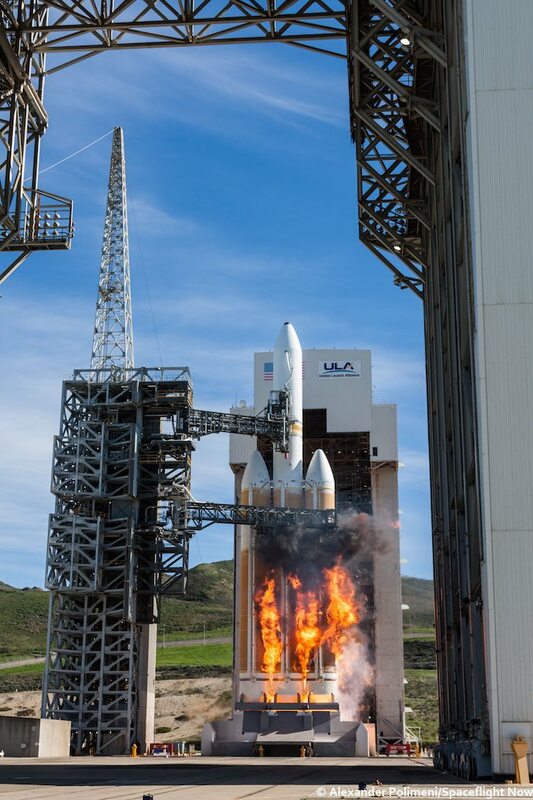 The insulation was blackened during the ignition sequence, as expected.